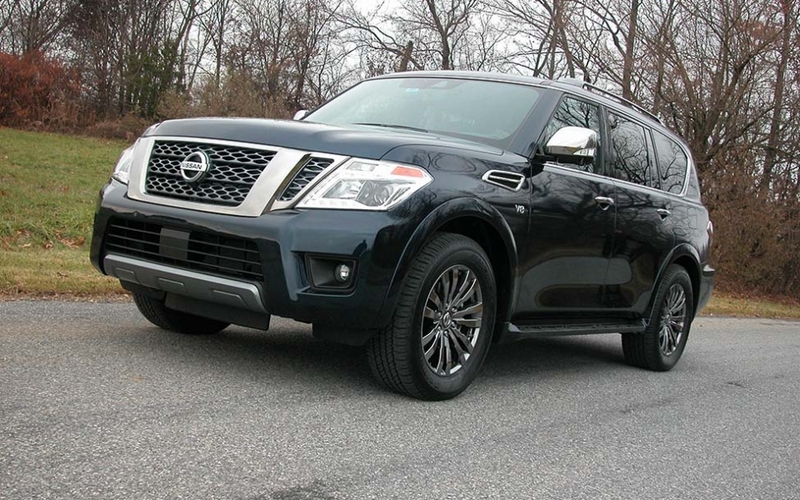 If you’re a family of four or more and are in the market for a versatile and rugged AWD vehicle that has generous interior and cargo space, can tow your boat or camper, and do so in comfort and style, check out the tried and true Nissan Armada. 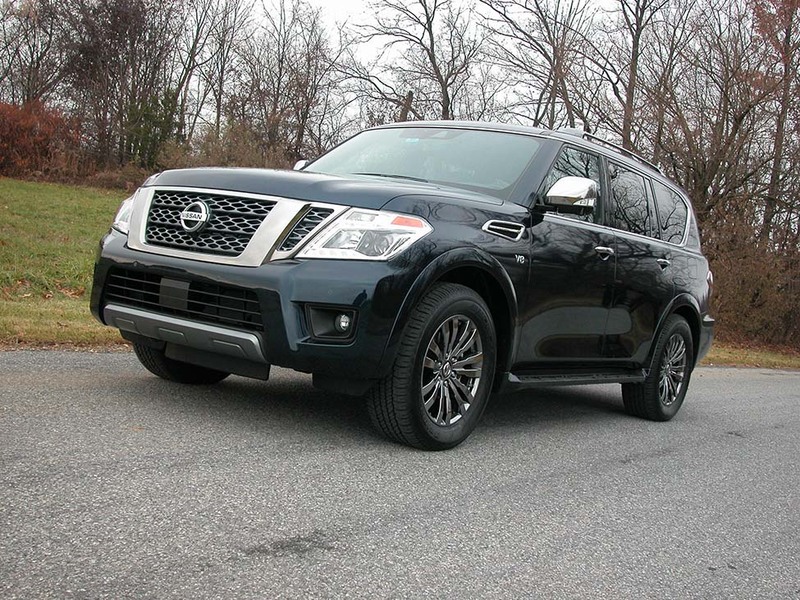 In this Armada’s third generation, Armada is Nissan’s full-size flagship SUV. It’s offered in SV, SL, Platinum and Platinum Reserve and in FWD and AWD. Armada can be configured for eight passengers with the third seat and second row bench, or, seven passengers with optional second row captain’s chairs. 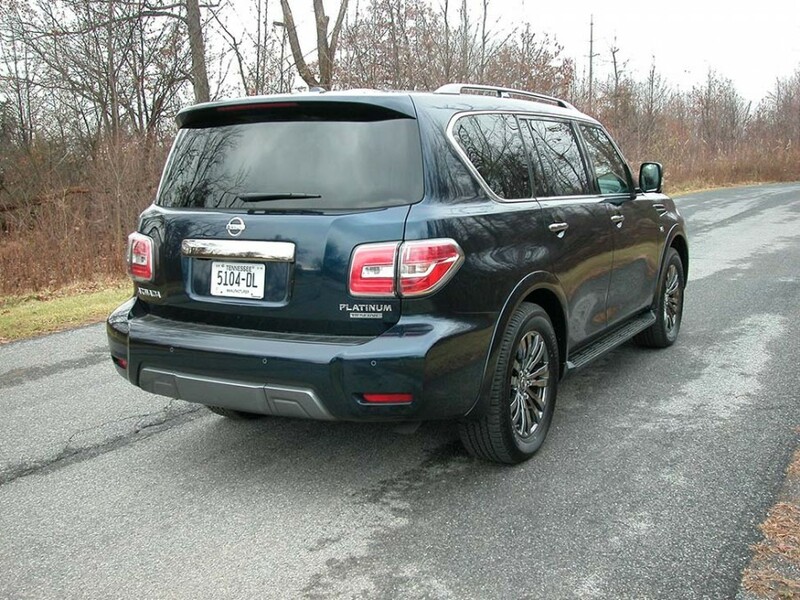 We were privileged to test the 7-passenger Platinum AWD that was loaded with luxury and spaciousness. 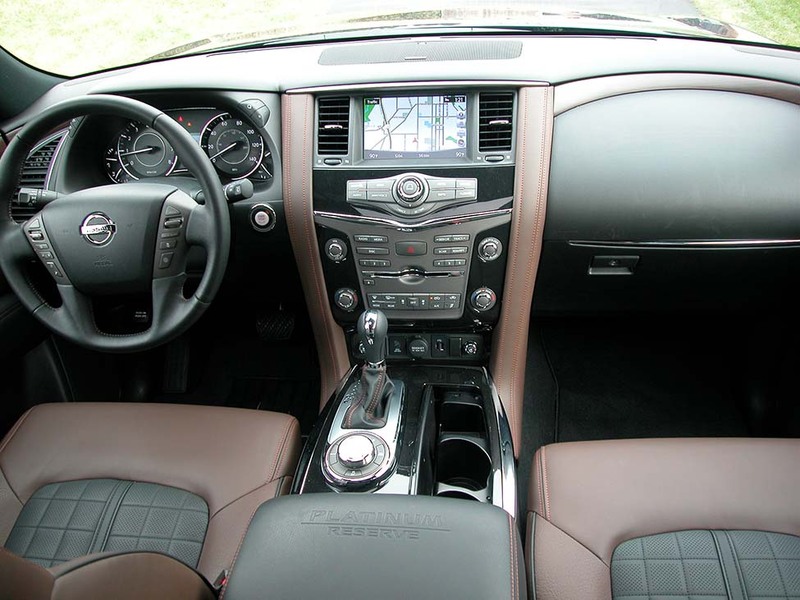 And it has a clone in the form of Infiniti’s QX80 SUV, Nissan’s luxury brand that costs several thousand more. Armada uses body-on-frame construction unlike many others today who went to unibody construction that isn’t as rugged. It uses truck-type underpinnings for added toughness, assuring that it can handle varied terrain and towing jobs with ease. 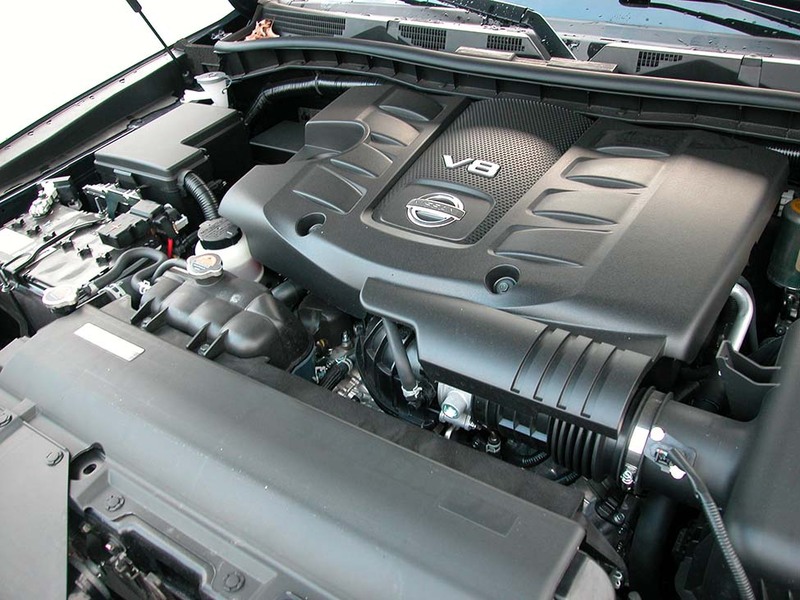 Armada is powered by a potent 5.6-liter, 390-hp V8 that churns out 394 lb/ft of torque. Coupled to a standard smooth shifting 7-speed automatic transmission, it earns EPA mileage ratings of 13 city, 18-highway mpg. Yes, it’s not miserly. But consider Armada is a 6,000-pound SUV. And at that, it’s been independently 0-60 timed at a lively 6.4 seconds. To it’s credit, this brute can tow up to 8,500 pounds. 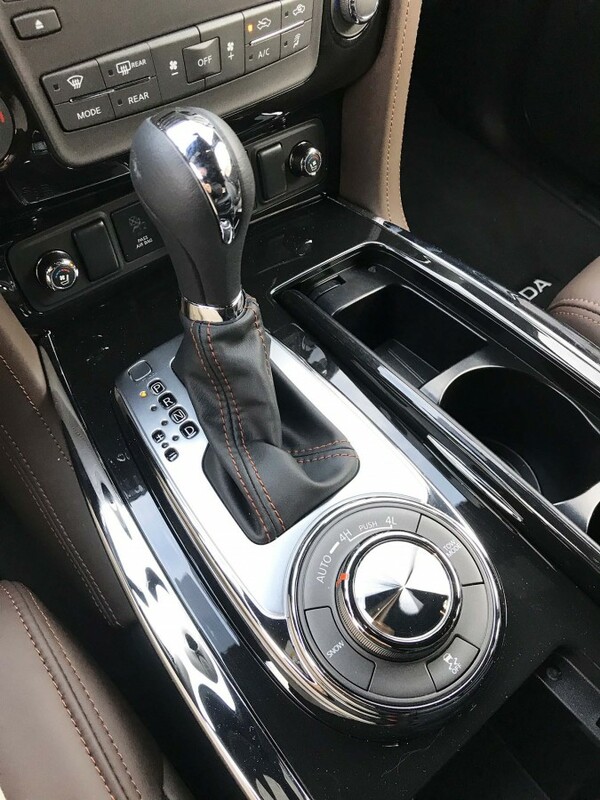 Under hard acceleration, the guttural sounds from the V8 dissipates at cruise speed, and there’s certainly no want for power. 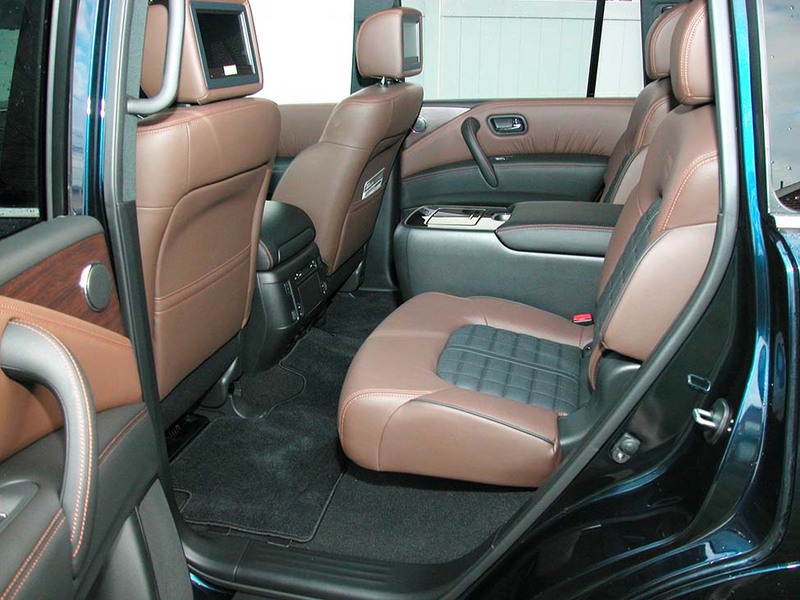 After a low 13.5-inch step-in onto the running boards, or 23 to the cabin floor, Armada’s interior is stylish with a wide amount of elbow space. 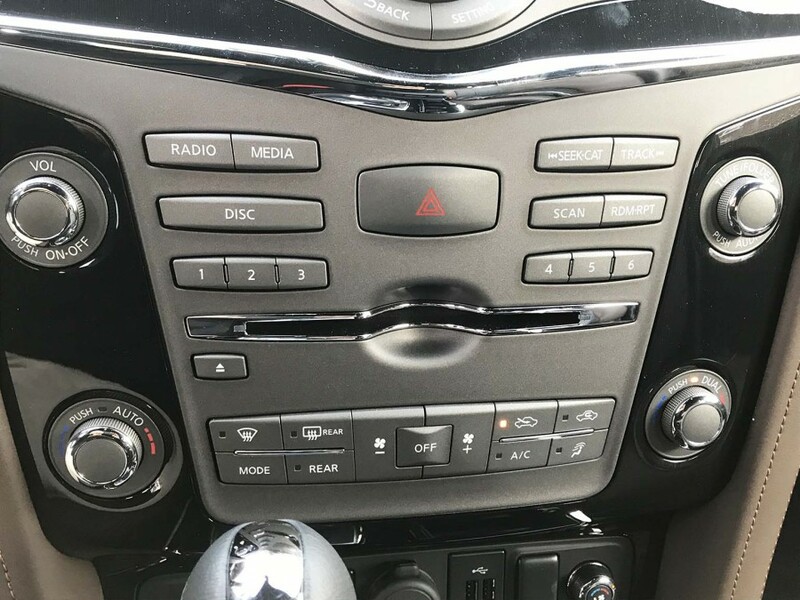 Its massive vertical stack contains an 8-inch touchscreen with voice control, split screen capability that offers Nissan Connect infotainment, rearview camera, satellite radio and several apps. The touchscreen, with its intelligent 360 degree birds eye view monitor, is a tremendous help when parking. 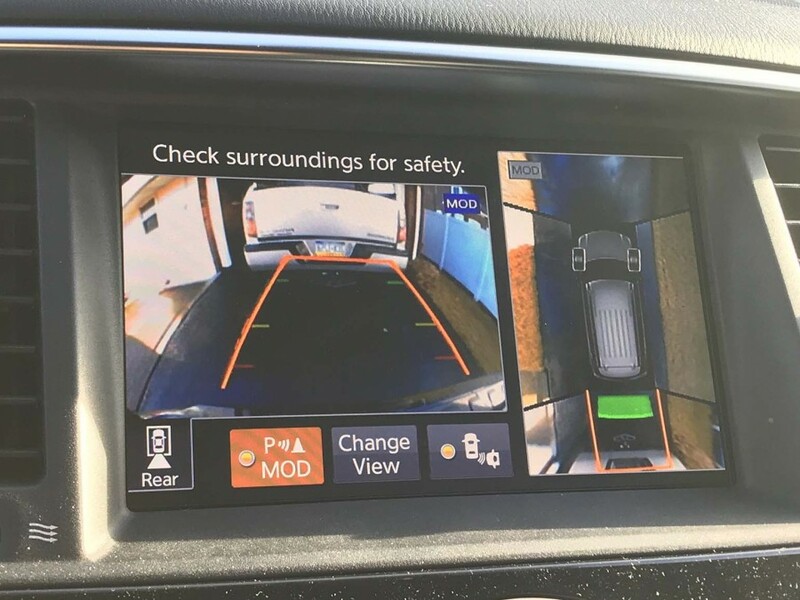 Plus, the rearview mirror can display a video feed from the rearview camera. 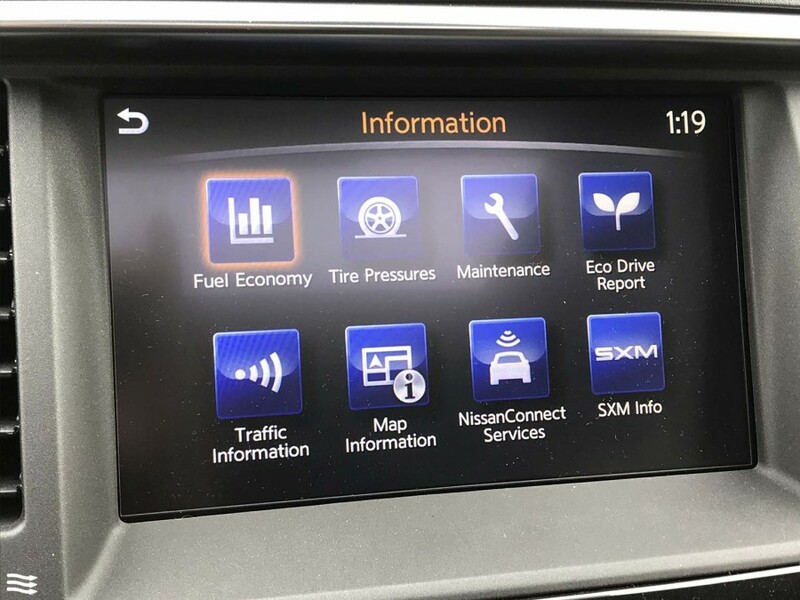 HVAC controls are easy to use and above them is a CD player, a feature many car makers are eliminating as young folks today turn to their phones and Apple CarPlay/Android Auto that Armada does not as yet offer. 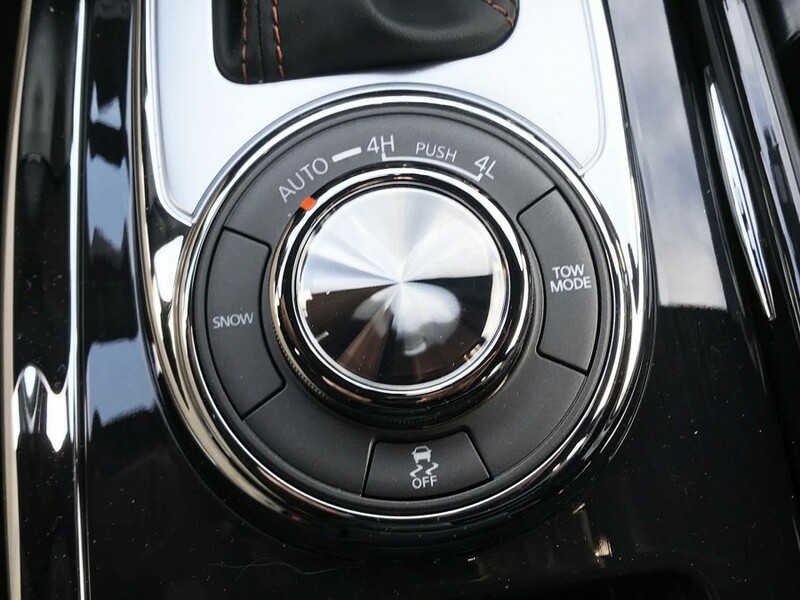 Armada’s 4WD system consists of Auto, 4H, 4L and has switches for Snow, Tow-Haul modes and an off switch for its traction control. With 9.1 inches of ground clearance, Armada can tackle modest snow depths and semi-rugged off-roads. 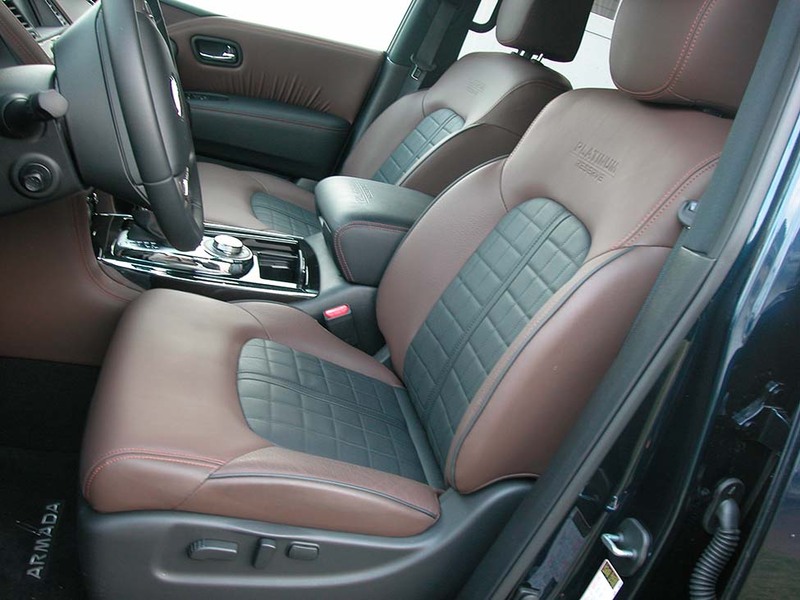 The heated/cooled front seats are abundantly padded with sensible lateral support. Our only complaint with them is that they’re on the slippery side. Perhaps if they had perforated inserts, they would be less slippery. 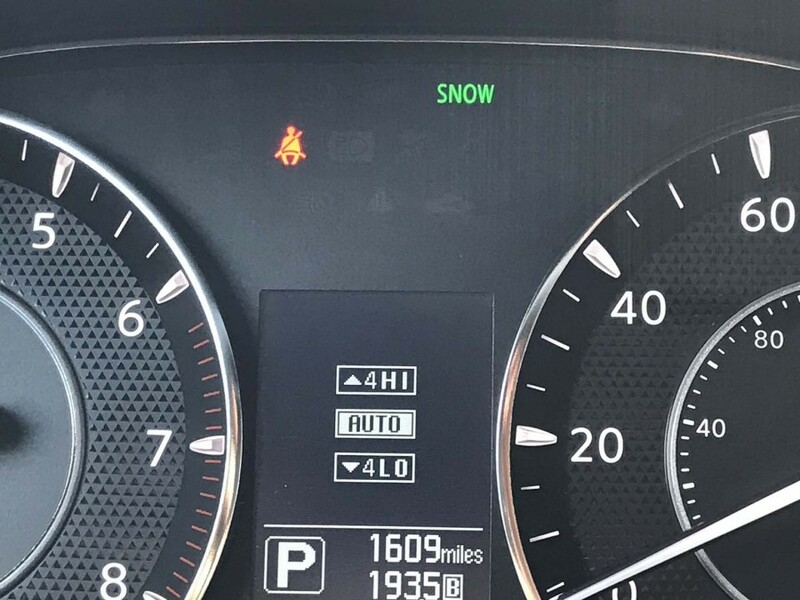 Standard on the Armada is a telescoping and heated steering wheel, the latter is appreciated on cold mornings. 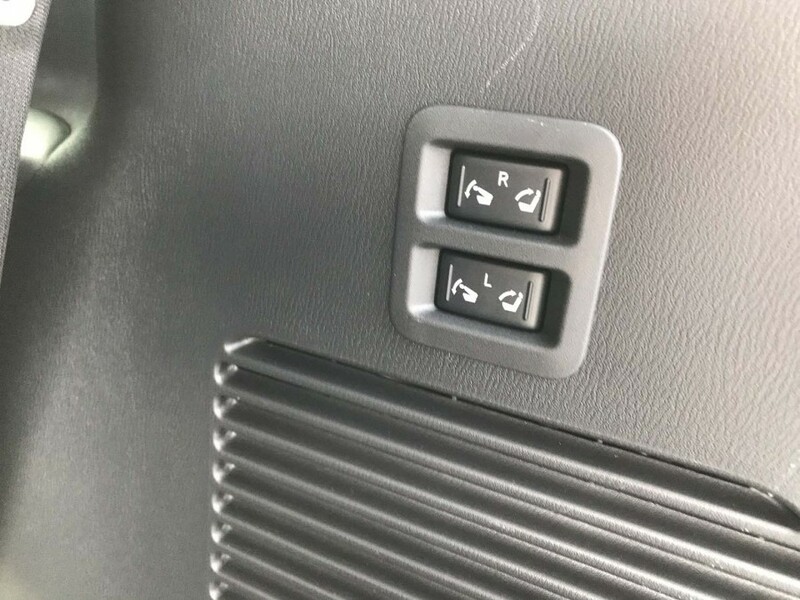 But Nissan needs to move the switch for them to the steering wheel instead of on the (out of direct view) lower left of the drivers’ side dash. Heated second row captain’s chairs are especially comfy with gobs of leg and headroom. 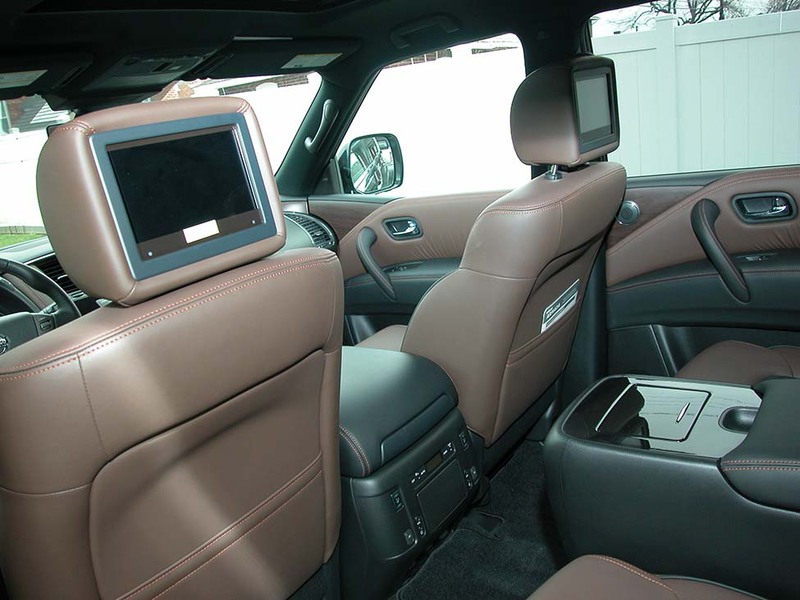 A huge console between them can stow drinks and snacks for the kids and a set of DVD video monitors in the rear of the front seat headrests, can keep them occupied over long hauls. Tumble forward the captain’s chairs and ingress/egress into the third row seats is easy for kids, but a squeeze for two medium size adults. 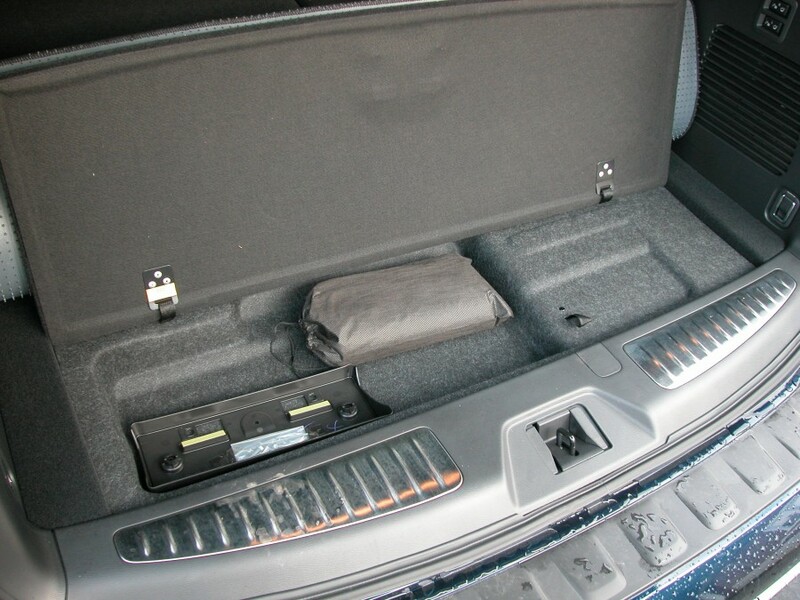 Back in the cargo area that offers 16.5 cubic feet of space, it measures 19 inches deep, 50 wide and 33.75 high. Push two buttons on the cargo wall and the seats flip down for a flat load floor. 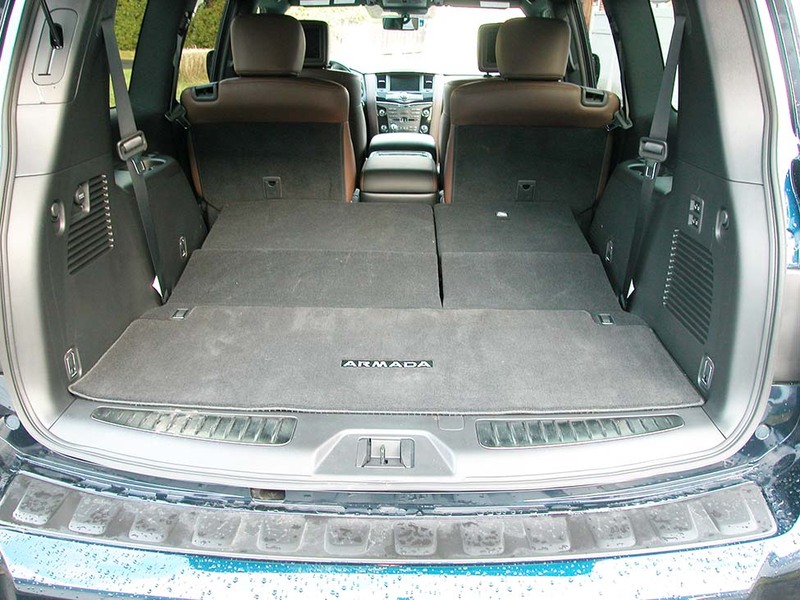 Doing so increases cargo space to 49.9 cubic feet for 48 inches of depth. 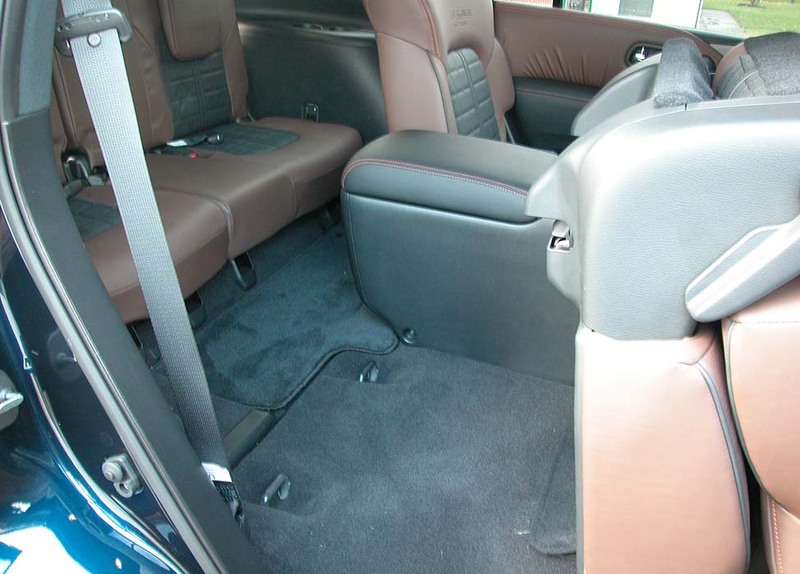 Flip the captain’s chairs and that opens up to 95.4 cubic feet for 82 inches of cargo loading depth. 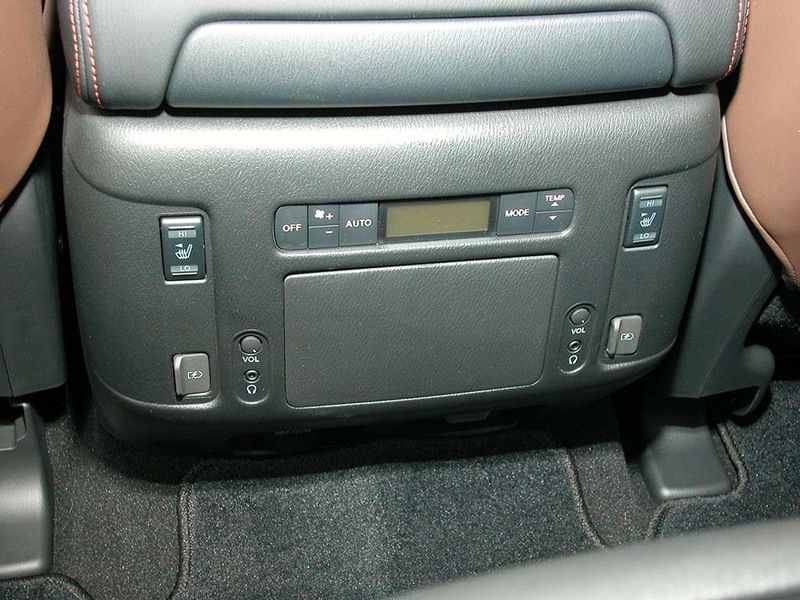 Only problem here, the tall rear console prevents a completely open, flat floor. Another point, the protruding bumper requires a good stretch to stow things beyond the folded third row after a 33-inch liftover. There is a small bin beneath the cargo floor for small item storage. Driving this large SUV is not as intimidating as it may seem. It’s actually rather nimble and planted with only some minor body lean in sharp turns. 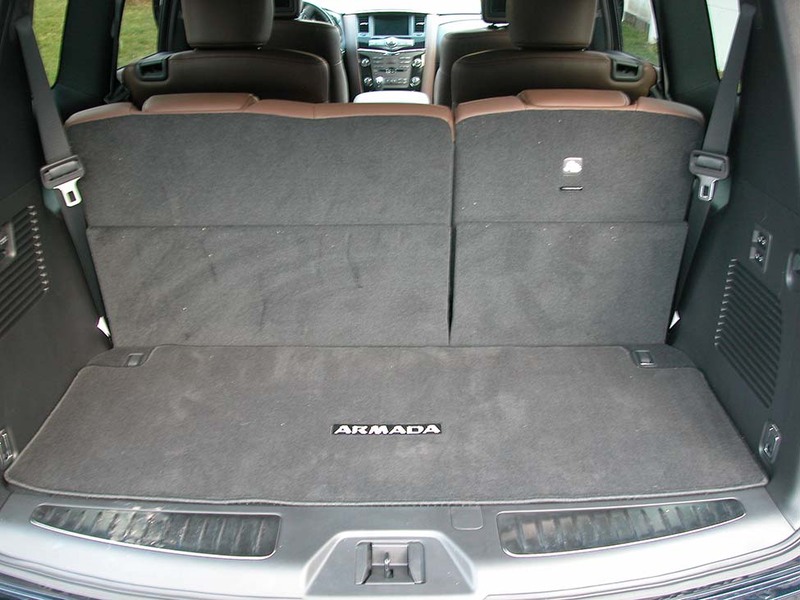 Armada gives a secure feeling with its nearly three-ton heft. The ride on 20-inch Bridgestone tires is smooth and quiet. Road imperfections and tar strips are merely ripples. A testament to Armada’s fine suspension system. Armada Platinum comes standard with an extremely long list of standard features and safety items like distance control, emergency braking, forward collision and lane departure warnings, blind spot monitoring, remote start, even a windshield wiper deicer. The only extra cost options were for the Platinum Reserve package ($3,000) that added the 20-inch chrome wheels, leather seats and more; Captains Chairs and center console ($450); carpeted floor mats ($315) and delivery ($1,395), all of which brought the base price of $62,690 to $67,850. A lot of smaller SUVs cost that and can’t compare to Armada’s spaciousness, ride and trailering capacity. So far, Armada has only been tested for side crash by the government’s 5-star safety rating system. As such, the SUV garnered a full five stars for that and three for rollover. 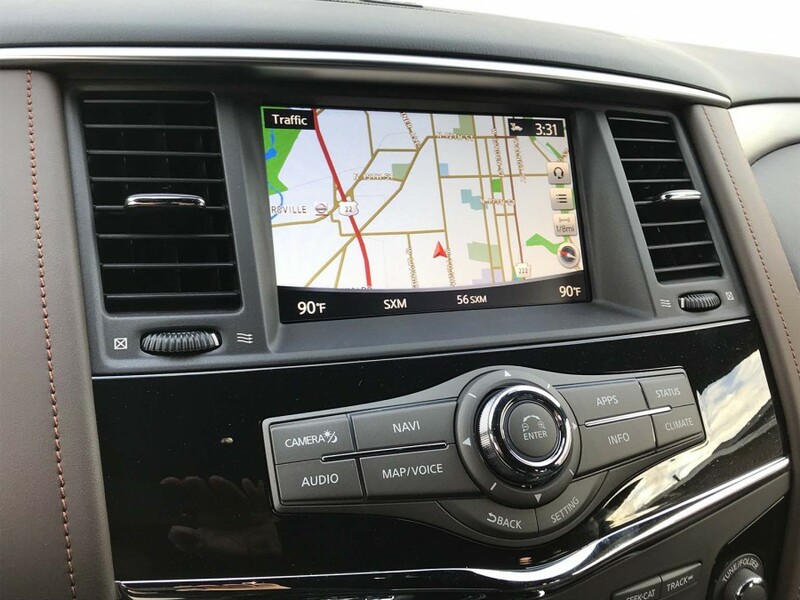 If planning a summer driving trip to Orlando, Armada is the way to go as it’s easy on the driver and passengers as well.